Moral philosophers routinely invoke gut-feelings when they investigate their subject matter. They observe, for example, that 'we' seem to judge that harm is morally wrong or that 'we' think that moral judgements necessarily motivate. The 'we' in question is an often vague reference to at least the author, his like-minded peers, or perhaps even everyone. More robust approaches to studying morality would surely be welcome. The neuroscience of morality is a recent and exciting field of study that promises to shed more light onto the brain processes that underlie moral thought and behaviour. More sensationally, some even claim that neuroscience has implications for what we ought to do. Like all (potentially) disruptive developments, the neuroscience of morality polarises: positions range from enthusiastic endorsements of a 'science of ethics' to dismissive scepticism about its philosophical relevance. "Moral Brains - The Neuroscience of Morality," edited by S. Matthew Liao, does not aim to settle the philosophical dispute, but it provides an accessible, comprehensive, and straightforward introduction to the neuroscientific study of morality and its use in philosophical arguments. The book aims to take stock of the last fifteen years of research and features fifteen essays by renowned scholars in the field. The comprehensive introduction by Liao and the book's reflections on the latest developments in the field set it apart from alternatives (e.g. Verplaetse et al. 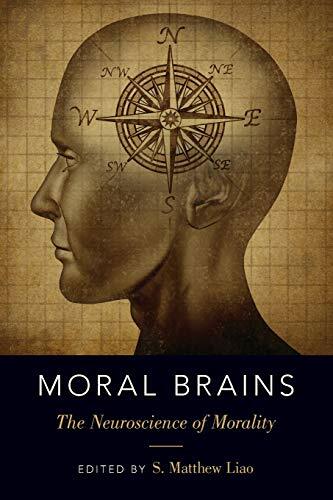 2009; Sinnott-Armstrong 2008; Decety and Wheatley 2015) and make it a splendid choice for a thematic, philosophical introduction to the neuroscience of morality. Below I first provide a brief overview of the book's contents before commenting on two obstacles for using neuroscientific findings in philosophy. The fourteen essays in the book are divided into four parts. In the first, on 'Emotions versus Reasons', Jesse Prinz make a case for moral sentimentalism, the view that emotions constitute moral judgements, arguing that psychological, not neuroscientific, studies lend much support to it. Jeannette Kennett and Philip Gerrans argue in defence of a rationalist alternative to moral sentimentalism, according to which moral judgements are underpinned by processes that are "broadly rational" (75). Their main claim is that diachronic reasoning is essential to moral deliberation and that neuroscientific studies not yet show that reflection is not involved in moral judgements over time. James Woodward's essay aims at showing that there is no sharp dichotomy between emotion and reason when it comes to moral judgements. On his view, moral judgements are underpinned by processes that are involved in evaluation, motivation, and affect but nonetheless representational. The second part, on 'Deontology versus Consequentialism,' is devoted to Joshua Greene's influential article 'Beyond Point-and-Shoot Morality', which was first published in 2014. Greene argues that neuroscientific findings support the view that characteristically consequentialist moral judgements supported by conscious reasoning while characteristically deontological moral judgements are supported by automatic emotional processes (121). Moreover, Greene argues that the automatic processes that underlie deontological judgements make them less reliable in the novel and complex moral settings that we encounter today. Greene's argument suggests that a significant bit of normative theorising is just "codifying" of automatic, emotional judgements (136). In their responses to Greene's essay, Julia Driver argues that Greene at best debunks an all too simple version of moral intuitionism and James Darwall points out that Greene's experimental results are compatible with a version of rule consequentialism that incorporates characteristically deontological elements, which implies that we need not give up deontological thoughts after all. Greene then responds to both views. Part three focuses on 'New Methods in Moral Neuroscience.' R. J. Blair and colleagues argue that moral development involves conventional, care-based, disgust-based, and fairness-based norms, which are based on relatively independent emotional learning systems (195). Ricardo de Oliveira-Souza and colleagues review the evidence about the neural substrates of morality gleaned from studies with psychopathic individuals. They conclude that "the ultimate neuronal correlates of the moral stance still elude us" and emphasise the importance of utilising the lesion method to make progress on this issue (233). Molly Crockett presents new empirical findings of the influence of serotonin, a neuromodulator, on moral judgements, arguing that its influences on behaviour and corresponding neural activation in economic games indicates that "moral judgements are not fixed, but malleable" (242). In the final essay of this part, Jana Schaich Borg makes a case for using neuroscience to understand why humans perform immoral actions in the first place, arguing that experimental research with rodents will help to answer this question. The final part, on 'Philosophical Lessons,' adds reflections about the role of neuroscientific findings in philosophical theories about morality. Guy Kahane asks whether neuroscience settles normative questions about what we ought to do, arguing that there are multiple valid ways of drawing "potentially interesting" normative conclusions from empirical premises, yet that current neuroscientific research as such does not play a major role in these arguments (301). S. Matthew Liao argues that intuitions are not heuristics, contrary to the claims of several researchers who believe that neuroscientific findings support their view. In the final essay of the volume, Walter Sinnott-Armstrong argues that morality is disunited through its content, calling into question the relevance of a search for a 'moral region' in the brain. The book contains many thought-provoking details that I cannot, unfortunately, comment on in this brief review. However, what does the book suggest about the general philosophical relevance of neuroscientific research? It helps to distinguish two ways in which neuroscience might be philosophically relevant. First, neuroscience might provide a clue about what we ought to do. Second, neuroscience might provide empirical evidence that supports the descriptive claims of one philosophical theory and rebuts those of another. In regards to the latter question, it seems that much depends on whether the operationalisations of moral concepts can be agreed upon by the discussants. As an example, consider the debate about motivational internalism. Motivational internalism is the view that moral judgements motivate necessarily. Accordingly, if someone sincerely judges that eating meat is morally wrong, then it must be the case that he or she will be motivated to abstain from eating meat. In contrast, motivational externalists claim that the relation between motivation and moral judgement is contingent. Neuroscientific research into the brain processes associated with making moral judgements promises progress in this ancient debate. Two problems, however, stand in the way of progress. First, one needs to be cautious of a confusion of tongues: philosophers sometimes understand the debate about internalism and externalism to be about the conceptual connections between motivation and moral judgement. This question, however, is unaffected by facts about the biological correlation of motivational processes and moral judgements. Second, it seems that much of the controversy is down to moving targets: once externalists find that some moral judgements are not accompanied by neural- or physiological reactions that indicate motivation, internalists claim that there were no 'genuine' moral judgements involved in the study and vice versa. A similar problem seems to affect the debate between moral sentimentalism and moral rationalism touched upon by Prinz, Kennett, and Gerrans in the first part of the book. Kennett and Gerrans argue that some moral judgements are beyond the purview of current (neuroscientific and psychological) experimental designs and yet plausibly involve cognitive capacities, thus seeking to undermine some of the empirical evidence on which Prinz bases his defence of sentimentalism. It is, of course, legitimate to question the operationalisation of a concept, but neuroscientific findings will not be able to significantly advance the debate if it is not clear what the object of study is in the first place. Neuroscience might not settle significant philosophical questions thus far, and, according to the critical voices in this book, it is unlikely to do so in the near future. Nonetheless, researchers and students interested in morality today are well advised to be familiar with its neurological underpinnings, not only to gain more robust evidence about how 'we' think about morality but also to find out what kind of research would be needed to advance the philosophical debate. Reading this book will set them up to a solid start. Decety, J. and Wheatley, T., eds. (2015). The moral brain: A multidisciplinary perspective. Cambridge, Massachusetts: The MIT Press. Sinnott-Armstrong, W., ed. (2008). Moral psychology: The neuroscience of morality: Emotion, brain disorders, and development. Cambridge, Mass: MIT Press. Verplaetse, J., Braeckman, J., Schrijver, J. and Vanneste, S., eds. (2009). The Moral Brain: Essays on the Evolutionary and Neuroscientific Aspects of Morality. Dordrecht: Springer Netherlands. Michael Klenk, PhD Candidate in Philosophy, Utrecht University, The Netherlands.